With each growing season, producers must decide how and where to sell their crops. 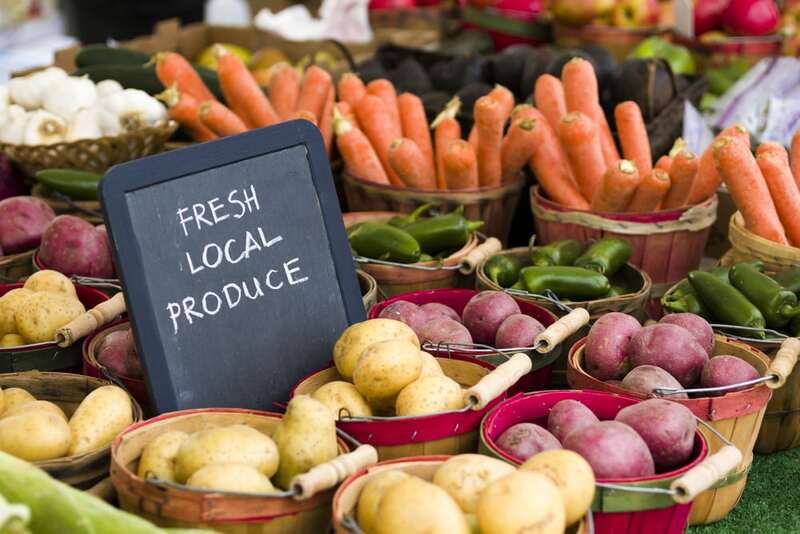 Farmers markets, grocery stores, roadside stands, and wholesale distribution are excellent established options. But there are new and trending opportunities to consider. Charitable donations as well as second-generation uses of fresh fruits and vegetables have opened more markets for local producers. Figure 1. Extra fruits and vegetables donated to charitable organizations may be tax deductible. Producers must follow certain guidelines to take advantage of the tax benefits. 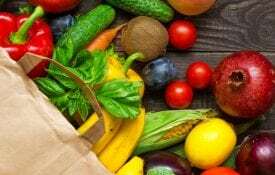 Donating extra fruits and vegetables to a faith-based group, food pantry, or other charitable organization has always been a worthwhile cause. But it has provided little tax benefit to the donor. As of the 2016 tax year, producers working with a qualified 501(c)(3) organization may deduct an amount calculated on 25 percent of the fair market value of the donated products. 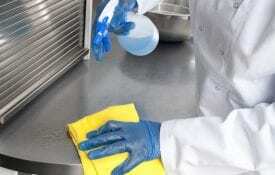 The food must meet typical federal, state, and local laws and guidelines, even though it may not be sellable because of age, appearance, freshness, etc. A producer must acquire a statement from the charitable organization giving a description, date of donation, intended use of products, compliancy with federal donation and 501(c)(3) laws and indication that the organization’s book will be adequately maintained and available to the IRS upon request. This should not be an issue for most 501(c)(3) organizations. Here is how the deduction calculation works, using a $10.00 basket of peaches as an example. Figure 2. Donating fruits and vegetables to charitable organizations is a worthwhile opportunity for producers to distribute their crop yields. The lesser amount of the two calculations is the dollar figure you can deduct. So, in this example, $5.00 is the amount you can deduct on the $10.00 basket of peaches. The overall deduction per year is limited to 15 percent of a farm’s net income. Any donation beyond that amount can be carried over and claimed for 5 years from the time of donation. Producers need to determine if itemizing deductions or taking the standard deduction is most beneficial to them. We recommend consulting an accountant or your local Extension office to determine how the provision affects you. Produce sourced within the state is often sought by local breweries, wineries, and distilleries. These businesses typically use only fruits in their processing, but this is not absolute. A wide variety of products may be used, depending on the operation, location, seasonality, and other factors. 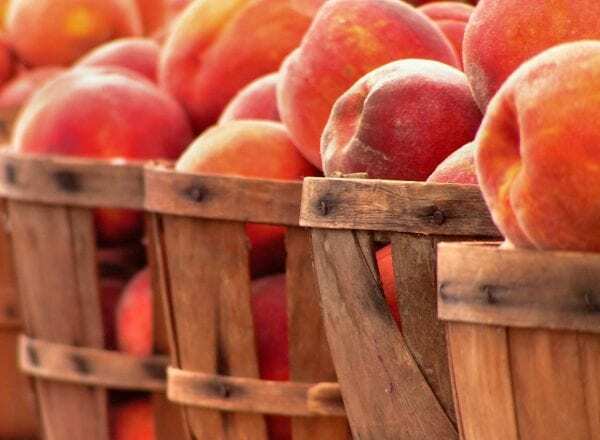 Popular Alabama crops include peaches, strawberries, blueberries, blackberries, apples, citrus, melons, plums, muscadines, and pecans. Producers are encouraged to contact individual businesses to learn their particular production needs (table 1). Figure 3. 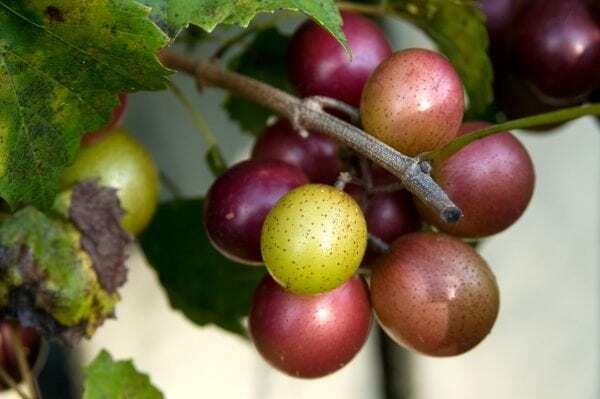 Muscadine grapes are among the Alabama-grown crops popular with breweries, wineries, and distilleries. How much produce can a producer expect to sell? For beer and wine flavorings, the quantity will not be huge. But one advantage of these markets is that fruit can be used beyond its sellable date at the farm or local market. We are not talking bad produce, of course, but rather produce that has become unsalable to the public because of age, appearance, or freshness. In this case, the beverage industry can sometimes still salvage and use it. in Alabama. Producers are generally responsible for getting their crop to the business. An idea is to arrange with the distiller to drop off produce after a day at the local farmers market. Producers generally are paid in line with wholesale prices. This can be an opportunity for farms, especially, to profit from produce that will be unsalable in the near future. Chilton Food Innovation Center (CFIC) is a shared-use food processing facility in Clanton, Alabama. It was developed to help fruit and vegetable producers become processors without the cost of equipping their own commercial kitchen. Value-added products are created here that extend the shelf life of fruits and vegetables and add profit to producers’ bottom line. Examples of value-added products include jams, barbecue sauce, savory sauces, fruit sauces, pickles, and frozen pie filling. Figure 4. Christy Mendoza is available for consultations throughout the startup process. She is an Extension regional agent and food scientist. Managed by Alabama Extension, the 2,000-square-foot CFIC building contains processing equipment, a small office, storage space, and packaging supplies. Facility fees equate to about $40 an hour. There are different paths to getting products made. One option is to hire a copacker to make the product. Another is to become a food processor yourself. This option requires more training, but it also allows for more quality control. Either way, there are startup costs. Keep in mind, though, the costs associated with production can be covered by risk diversity and additional sales, as these products can be sold at markets for several years. 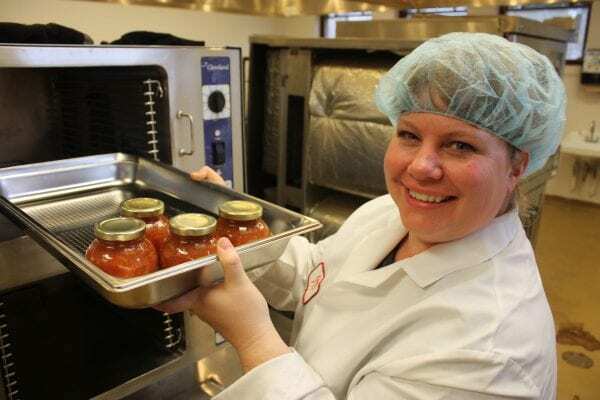 Christy Mendoza, an Alabama Extension regional agent and food scientist, is available for consultation throughout the startup process. For more information, contact the CFIC at (205) 280-6268 or info@ chiltonfoodinnovationcenter.com. Contact us with updates or corrections to this list. Download a PDF of Make More from the Produce You Grow, ANR-2405.